An exceptionally rare opportunity has arisen to purchase this superb three bedroomed detached family home. 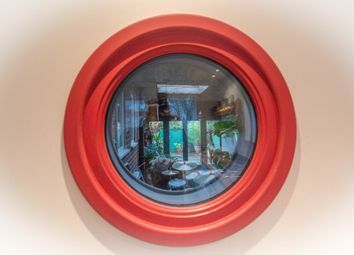 Offering stunning interior design that enjoys a bespoke finish throughout, the property offers extremely light, free flowing and contemporary accommodation spanning over two floors that must be viewed internally to fully appreciated. 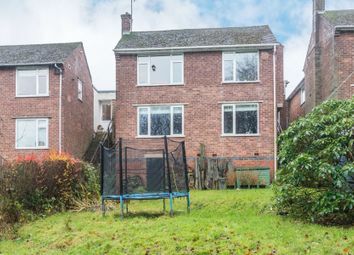 Enjoying far reaching views over the open woodland to the rear along with being located in one of Sheffield's most sought after and desirable suburbs towards the head of this quiet no through road within catchment for top performing schools and walking distance to the open countryside. 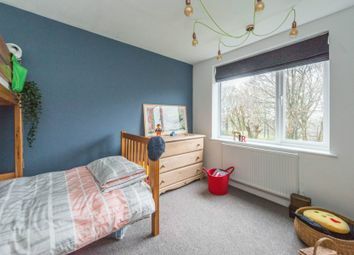 Having a fully converted garage, ample parking, open plan kitchen, living dining room, second sitting room, bathroom, two double bedrooms and third bedroom/study to the lower ground floor this outstanding property will appeal to the growing family market or those looking to downsize. 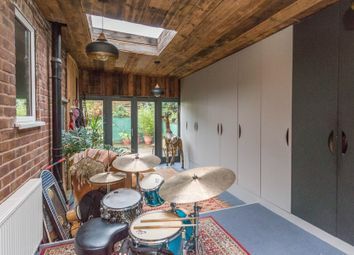 There are twin glazed front entrance doors with sealed unit double glazed middle sections and matching sections to either side give access to a converted garage. 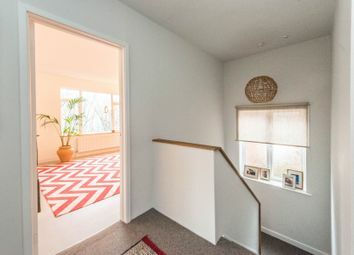 A lockable door off from the garage gives access to a spacious inner reception hallway which has a staircase descending down to the lower ground floor accommodation and a glazed door giving access to a front family room. Lounge 11' 2" x 13' 10" (3.4m x 4.22m) This room offers multiple and flexible usage and is used at present as a second sitting room/work from home office. 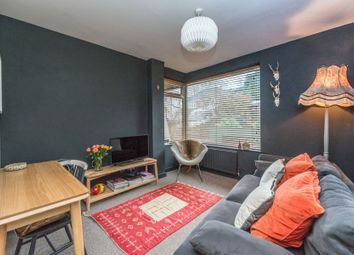 There is a front facing uPVC sealed unit double glazed corner picture window, double banked central heating radiator fitted beneath that, television aerial point and attractive coordinating contemporary decoration. 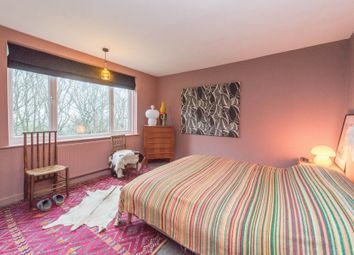 An excellent multiple usage reception room with dimmer light switch and second double banked central heating radiator. Bathroom A door off from the reception hallway gives access to a bathroom. There is a suite comprising of wash hand basin into a bespoke vanity unit with storage beneath and tiled splash backs and chrome finished mixer tap situated above. 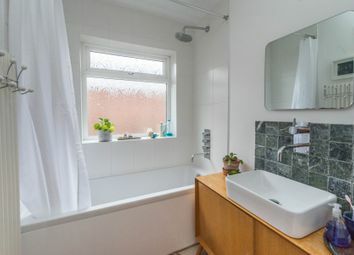 There is a panelled and tiled surround bath with thermostatic controlled central chrome finished tap, side facing frosted uPVC sealed unit double glazed picture window, part tiled walls, feature vertical heated radiator situated to one wall. 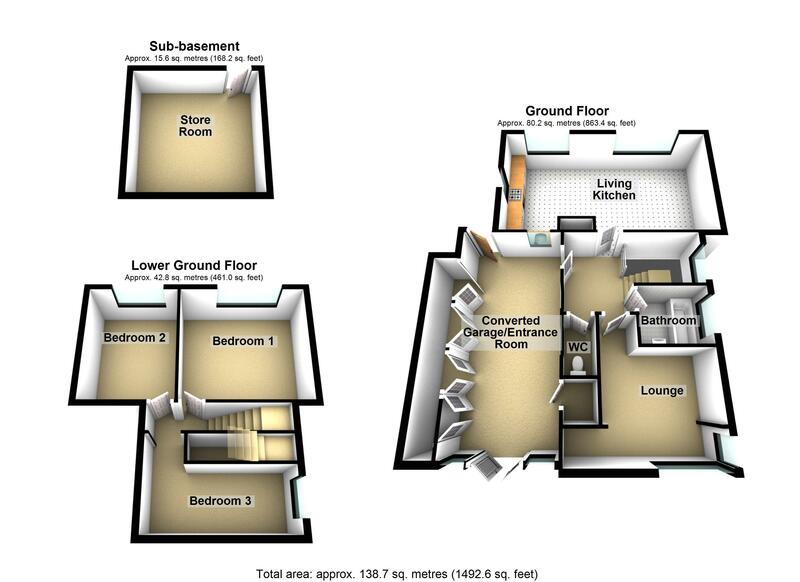 Living kitchen 23' 0" x 13' 0" (7.01m x 3.96m) A glazed door off from the hallway gives access to a superb open plan breakfast dining living kitchen. 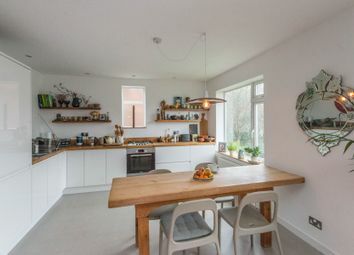 A superb open plan light and spacious contemporary living kitchen dining area with twin rear facing uPVC sealed unit double glazed broad picture windows which flood ample natural light into the room itself. There is a dimmer light switches finished in chrome. 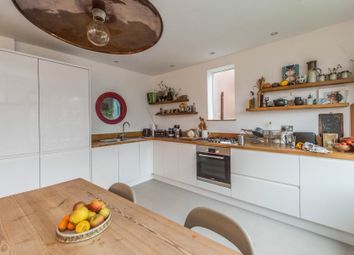 The kitchen area is clearly designated to the left hand side of the room itself and comprises of an excellent range of modern white high gloss handless wall and base units complimented by solid wood worktops and matching wood splash backs. 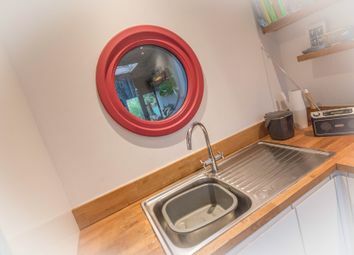 There is a stainless steel sink and drainer with chrome finished mixer tap, sat beneath a front facing sealed unit double glazed porthole feature picture window. There is an integrated Bosh four ring gas burner, Bosh electric fan assisted oven and grill, central heating radiator, integrated fridge, integrated freezer and low voltage halogen spotlights to the ceiling. In the kitchen there is an additional side facing frosted uPVC picture window. 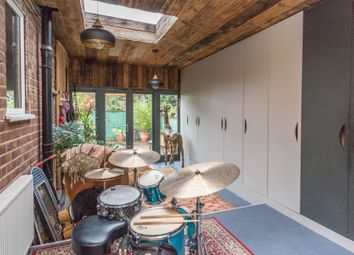 The kitchen diner flows effortlessly through to an informal sitting area which comprises of a double banked central heating radiator, television aerial point and attractive coordinating contemporary decoration. 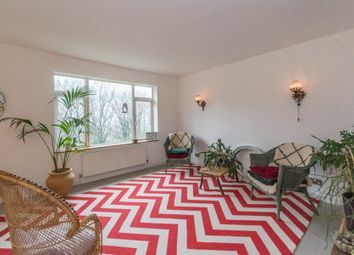 From the rear picture windows there are stunning views and aspects sweeping out over the expansive gardens and out towards the woodlands situated beyond. Cloak room A door off from the reception hallway gives access to a cloak room. There is a low flush WC, double banked central heating radiator, side facing frosted uPVC sealed unit double glazed picture window. 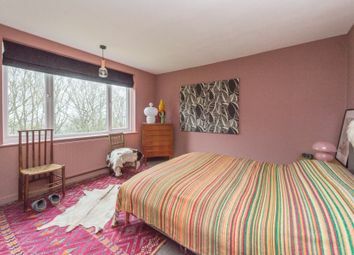 bedroom three 11' 8" x 9' 10" (3.56m x 3m) The lower ground floor has access to a work from home office/study or third bedroom. 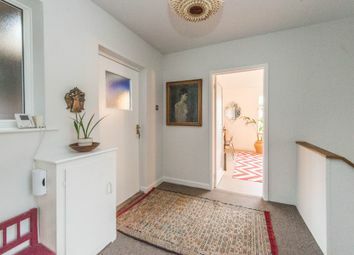 There is a double banked central heating radiator, side facing uPVC sealed unit double glazed picture window and attractive coordinating decoration. 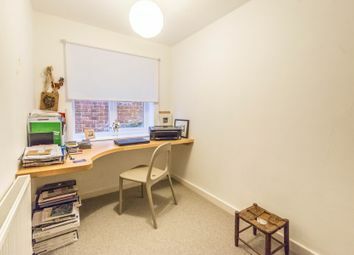 An excellent third bedroom/office facility. 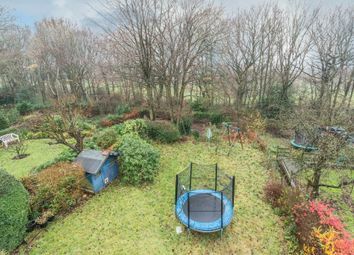 Outside To the rear are stunning gardens which are level and laid to lawn with attractive well stocked side boarders which back directly onto the woods and need to be viewed to be fully appreciated. 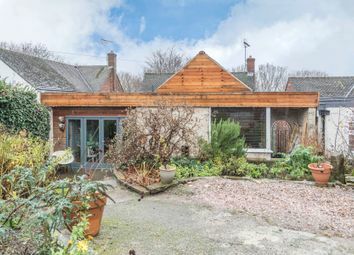 To the front is a driveway providing hard standing and attractive front forecourt area.